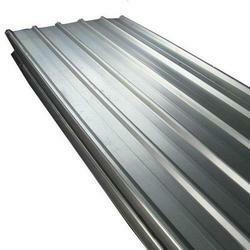 Our product range includes a wide range of modular silver gl roofing sheet. Driven by technically advanced facilities at our ultra-modern manufacturing unit, we are presenting an extensive range of Modular Silver GL Roofing Sheet. Owing to its high strength and smooth finish, the offered ventilator is highly admired by our patrons. The provided ventilator is manufactured using finest grade raw material at our manufacturing unit.